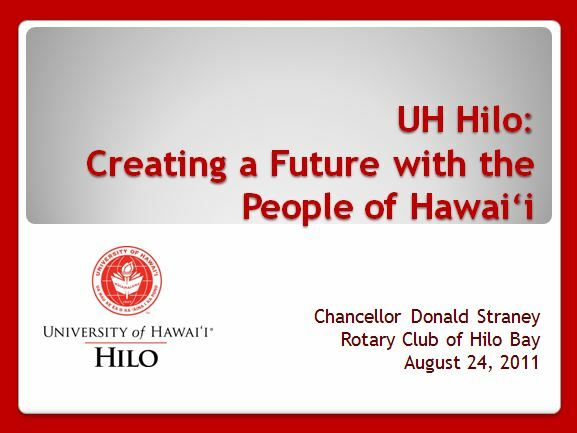 Chancellor Straney presented a State of the University report to the University of Hawai'i Board of Regents on July 7, 2011. 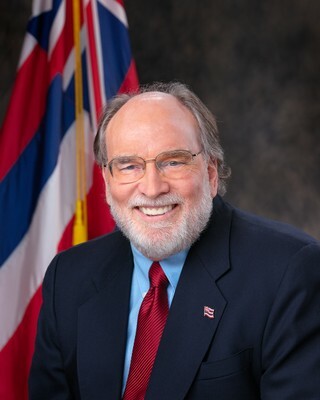 I’m pleased to announce that the University of Hawai‘i at Hilo is in the process of reorganizing its various international programs and services under the umbrella of the Division of Student Affairs. International Student Services and Intercultural Education currently resides in the Division of Student Affairs and includes National Student Exchange; it will shortly be joined by Global Exchange Programs, directed by Todd Shumway, and Global Education Programs, directed by Carolina Lam. 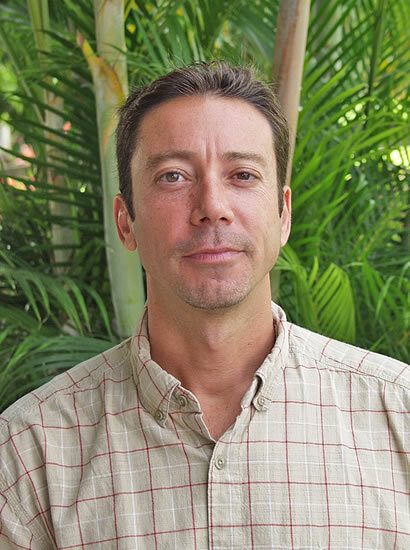 Together, these three functional areas will support and advise our international students as well as UH Hilo students who are involved in exchange programs. The team will also develop and implement initiatives that promote intercultural fluency and the globalization of our campus. Starting July 1, Jim Mellon will be the contact person for issues related to international students. 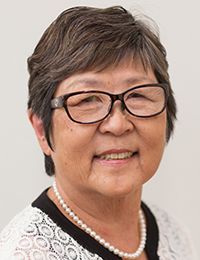 Carolina Lam remains the contact person for UH Hilo students wishing to study abroad, Todd Shumway for global exchange programs, and Zach Street for national student exchange programs. Until the new Student Services Building is completed, all offices will remain in their current locations. As a result of the reorganization, existing faculty and staff will be better able to share expertise, coordinate services, and achieve efficiencies in time and resources as they support the success of international students and prepare our students for study abroad. 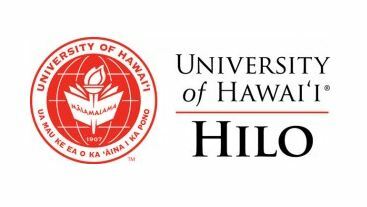 I’d like to let you know that UH Hilo has a web page set up with an online form for members of the campus community to suggest ways to help address our budget challenges. Your budget reduction and revenue generation ideas will be more than welcome at http://vcadmin.uhh.hawaii.edu/costsavings.php.